I know I said I was going to wait until Friday to purchase yarn, but I couldn't. With charge card in hand, I headed over to my LYS in 96 degree weather to browse and buy. 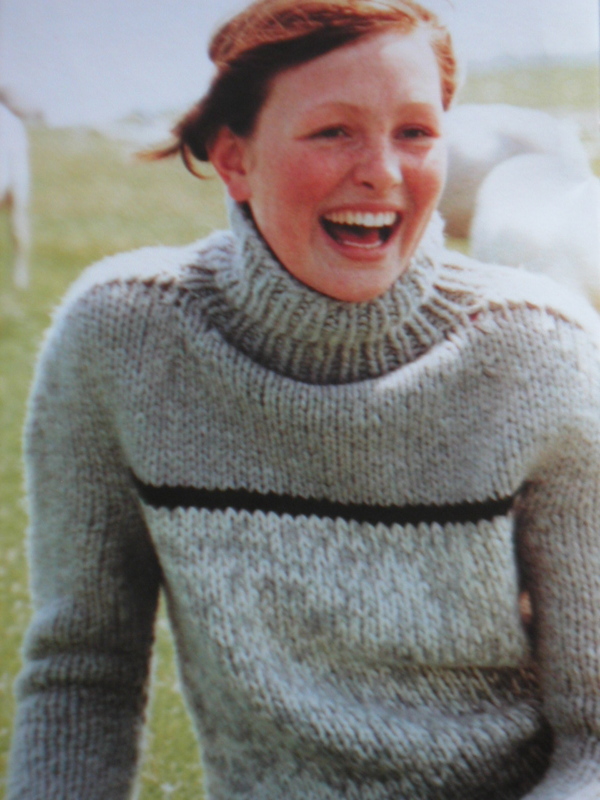 I had decided on this turtleneck sweater from Rebecca 14 for my next project. I'm using GGH Via Mala in grey and ecru combined for the whole sweater, not just the bottom half. I started my swatch and am excited to start putting my needles to work!